Sioux Falls and Surrounding area Brides to be! Sunday, February 19th, 2017 is the LAST Big Bridal Show of until the FALL SEASON! 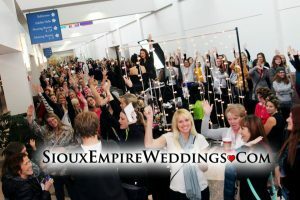 The Sioux Empire Wedding Showcase from noon to 3pm at the Sioux Falls Convention Center. We would LOVE to have you! 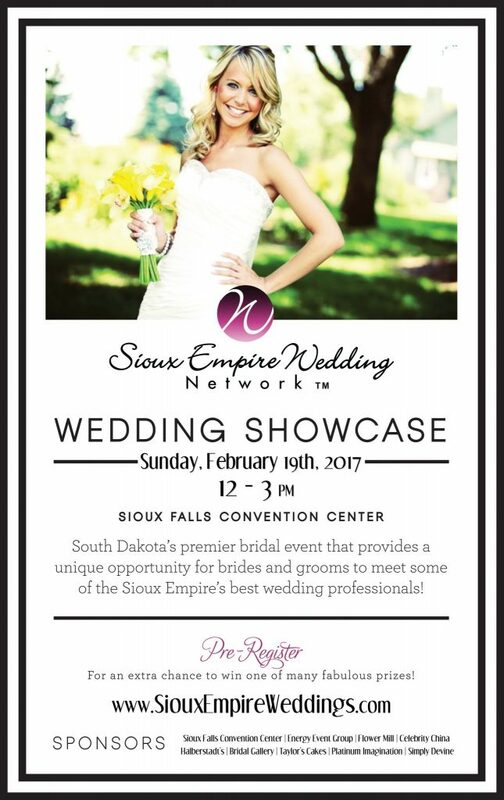 The Sioux Empire Wedding Showcase is a South Dakota Premier one of a kind bridal event that provides a unique opportunity for brides and grooms to meet some of the premier Wedding Professionals in the Sioux Empire for your wedding day! One Lucky Bride will WIN $1,000 towards her wedding professionals! There will also be over $1,000’s in gift certificates and prizes given throughout the showcase door prize drawings! There will live hair and makeup demos by Angelique from Platinum Imagination Hair and Makeup! We will provide delicious breakfast muffins from Taylor’d Cakes while you are inspired! Sign up today by CLICKING HERE to Pre-Register and for a second chance at winning one of the many prizes! Pre-register early! Enjoy the video that Jason R Jonas Cinematography put together from our last showcase! Sponsored by: Sioux Falls Convention Center, Energy Event Group, The Flower Mill, Celebrity China, Bridal Gallery, Halberstadt’s Mens Wear, Taylor’d Cakes, Platinum Imagination Hair and Makeup and Simply Devine Weddings and Events.